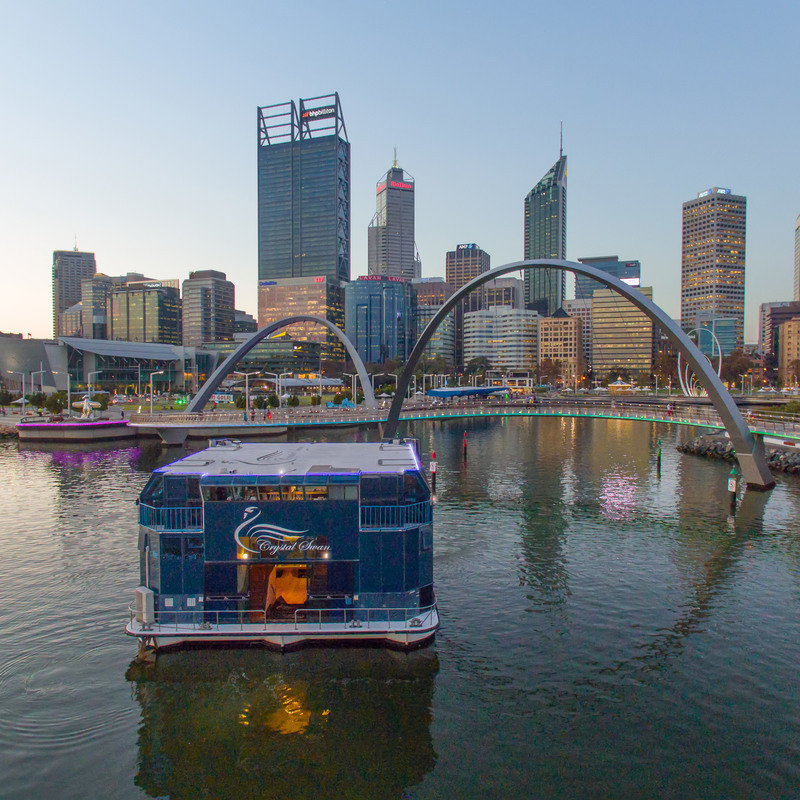 Perth's Crystal Swan is proud to partner with the WA Bush Poets & Yarn Spinners Association to provide the inaugural evening of "Bush Poetry & Yarn Spinning on the Swan" during the 2019 FRINGE WORLD Festival. The Perth city skyline provides your backdrop as we cruise along the beautiful Swan River with local bush poets spinning their yarns. At the age of 9, Bill found a book of Banjo Patterson’s poetry. It started a lifelong love of bush verse and now in his latter years he can devote more time to learning and performing material penned by the great poets past and present. Being a farmer, Bill has lots of opportunities to experience bush culture, and this love of the bush is reflected now in his own poems, which are mostly humorous anecdotes about the characters found in rural and remote Australia. His performing days started round the campfire over a few beers and this led to appearances at the Boyup Brook Country Music Festival. He is now the coordinator for the Bush Poetry section of this festival. This has grown over recent years to an audience of up to 2000, one of the largest in Australia.